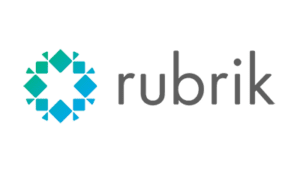 Rubrik and Cloudian® together unify and automate backup, instant recovery, replication, global indexed search, archival, compliance, and copy data management into a single scale-out fabric across the data center and public cloud. Komprise and Cloudian tackle one of the biggest challenges in the data center industry, unstructured data lifecycle management, with solutions that offload non-critical data that is typically 70%+ of costly Tier 1 NAS to a limitlessly scalable storage pool. Cloudian and Storage Made Easy (SME) provide an enterprise-wide file sync-and-share solution, designed to eliminate the compliance exposure of external cloud-based file sharing services. Evolphin and Cloudian help media professionals address capacity-intensive formats (e.g. 4k, 8k, VR/360) with the performance to handle time-pressed workflows. Cloudian CMO Jon Toor describes the partner ecosystem that has been built around the scalability and cost benefits of object storage.